Chemical emergencies rarely occur in the safety of a laboratory so analysis often needs to take place outside the lab. No problem for the Griffin G510 GC-MS.
Gas chromatograph mass spectrometer (GC-MS) is the gold standard for chemical analysis and can provide high fidelity data for data-driven decisions. 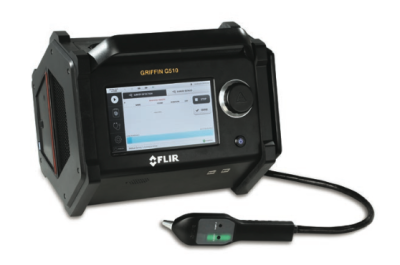 With its size, weight and power, the Griffin G510 is ideally suited as a person-portable device, helping responders deploy rapidly and deliver confirmatory results in minutes rather than weeks. The Griffin G510 recently won the 2018 R&D 100 award in the Analytical/Test category. Read more here.